The best fruit just is good enough, because the quality of the Old Williams begins in the tree. Therefore, good distillers are also good fruit experts and know, when it is to be picked full-ripe. The family Psenner is always active even in the agriculture. In orchards belonging to family which count to the biggest arrangements of South Tirol, the pears which lend Christ's pear brand his unmistakeable aroma to the Old Williams are pulled. A two-year-old to three-year-old maturation lends his elegant and mild character to the Old Williams and spoils with it fruit brand lover with exclusive claims. Bankes London Dry Gin 40 % 1 lt.
Grappa St. Magdalena Barrique 50 cl. Walcher South Tyrol 23,90 EUR / 47,80 €/lt. Grappa Goldmuskateller 50 cl. Walcher South Tyrol 23,10 EUR / 46,20 €/lt. Grappa Rosenmuskateller 50 cl. - Walcher South Tyrol 32,55 EUR / 65,10 €/lt. Grappa Treber 38° Roner 70 cl. - South Tyrol 18,10 EUR / 25,86 €/lt. 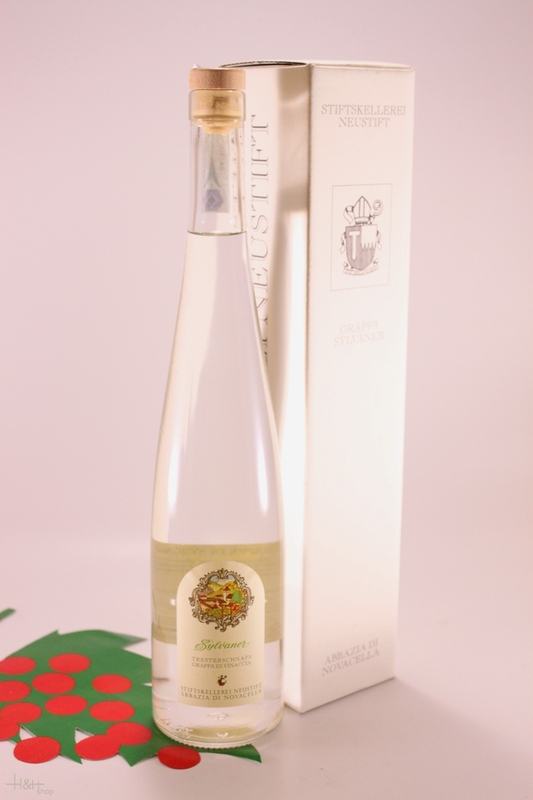 Grappa I 5 Elementi Gewürztraminer 50 cl. - Villa Laviosa 28,60 EUR / 57,20 €/lt.